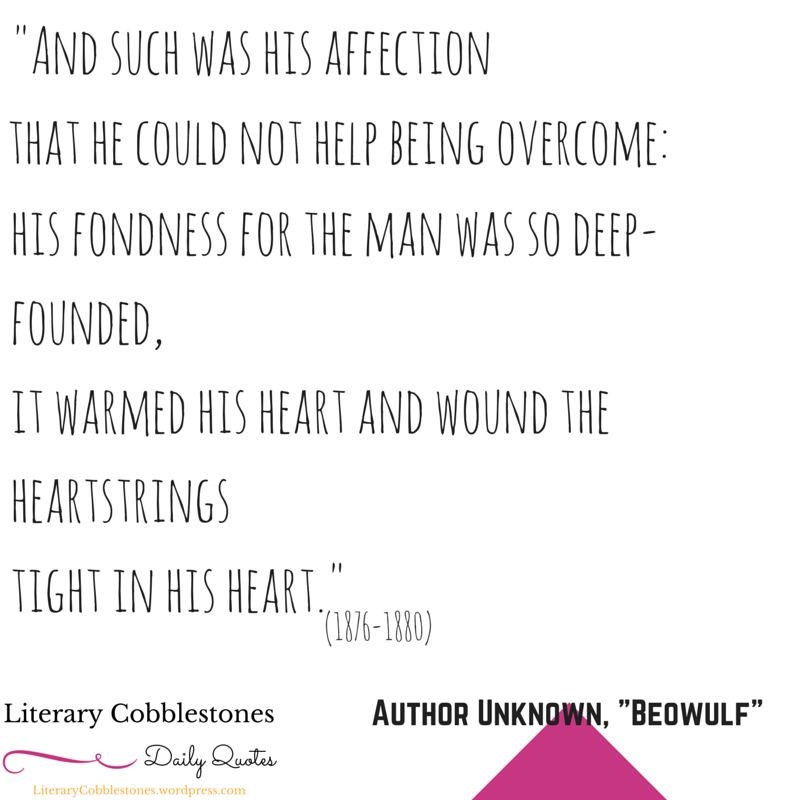 August 14, 2015| Literary Quote of the Day: “Beowulf”. Today we celebrate the epic poem entitled “Beowulf“. The poem is in Old English, and it is thought to have been produced between the 8th and 11th centuries. The author is still unknown. “Beowulf” can be a bit challenging the first time around, so I put together some resources to make the journey a little less gray-hair-producing. To start off, Project Gutenberg offers a free, modern translation of the text: “Beowulf: A Modern Version“. If you need a little class-like guidance, check out Story.com’s video lecture: “Beowulf: Story, Characters, and Old English”. The lesson is only about six minutes long, which is perfect if you simply need a little direction. The British Library’s website has a digital copy of the “Beowulf” manuscript in their collection: “Beowulf: Manuscript”. It’s centuries old, yet gets more amazing every time I look at it. I’m pretty sure it’s against some literary law to read “Beowulf” without actually hearing it in Old English. Open Culture has compiled a couple different readings of it: “Hear ‘Beowulf’ Read in the Original Old English: How Many Words Do You Recognize?” I was fortunate enough to have my first study of the poem with a professor who actually speak in Old English. How amazing is that? I don’t think I started to truly appreciate the poem until I heard her read it aloud. Serious goosebumps. And finally, here’s a piece from The New Yorker about J.R.R. Tolkien’s translation of “Beowulf”: “Slaying Monsters: Tolkien’s ‘Beowulf‘ “. After reading this article, I had even more love for Tolkien. He was already a total rockstar, but finding out he knew and understood Old English just makes him god-like in my book. It is finally Friday. Be sure to celebrate it with us by coming back tomorrow for Saturday’s literary quote.